Whether you want inspiration for planning a pond remodel or are building a designer pond from scratch, Houzz has 4,969 pictures from the best designers, decorators, and architects in the country, including Potomac Shores Cabinetry and Pond Roofing Company, Inc.. Look through photos in different colors and styles and when you find a design that inspires you, save it to an Ideabook or contact the Pro who made it happen to see what kind of pond design ideas they have for your home. 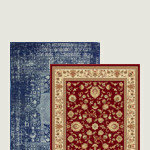 Explore the beautiful pond ideas photo gallery and find out exactly why Houzz is the best experience for home renovation and design. This is an example of a traditional stone landscaping in Detroit. 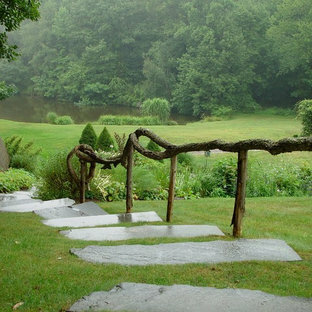 This is an example of a rustic backyard stone pond in New York. 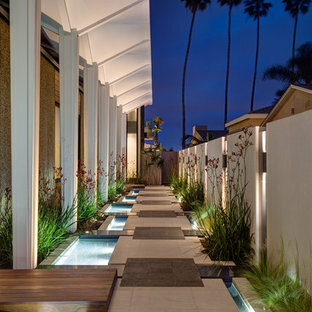 This is an example of a contemporary side yard pond in San Diego. 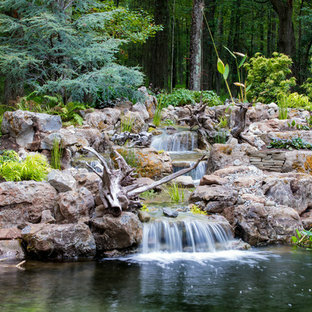 This is an example of a large rustic backyard stone pond in New York. 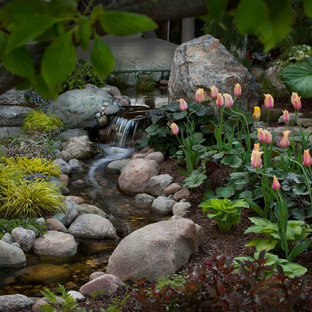 A pondless water feature constructed for beauty. Shelves of Moss rock boulder were constructed at precise elevations to create a tranquil sound of flowing water. Water feature was designed for safety - our customer has small children and they did not want any depth of standing water. Lighting accentuates the surrounding landscape, water and boulder to provide a wonderful evening ambiance. 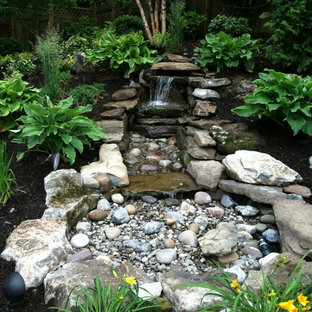 By Zito Landscape Design, Inc.
Inspiration for a tropical pond in Miami. Photo of a traditional backyard stone landscaping in Atlanta. 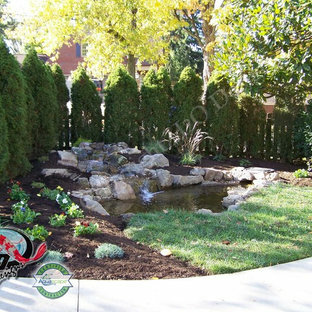 Photo of a transitional landscaping in DC Metro. Design ideas for a farmhouse backyard pond in San Francisco. This is an example of a contemporary shade backyard pond in San Francisco. 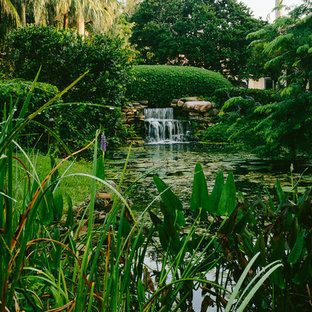 Design ideas for a traditional pond in New Orleans. Photo of a traditional gravel pond in New York. 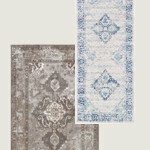 http://www.rutlandnurseries.com. Landscape Architect MA. 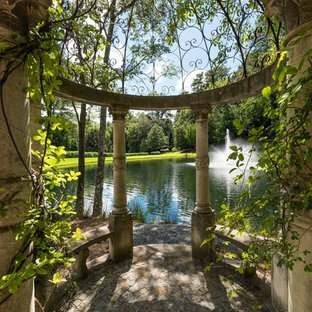 Rutland Nurseries, a premier New England Landscape Design Firm located in Central Massachusetts, offers award winning design and full service landscaping construction throughout Massachusetts and New England. Rutland Nurseries, Inc.
Inspiration for a huge traditional partial sun front yard concrete paver formal garden in DC Metro for spring. This photo is an overview of the backyard. 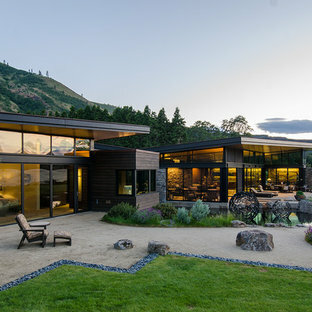 This landscape design has it all! A gunite swimming pool with a spa and pool waterfall, a 10' deep koi pond with "floating" pergola made from rough sawn cedar, an Ipe deck, another waterfall, and a Norwegian Buff quartzite patio to connect it all. Inspiration for a small contemporary partial sun backyard landscaping in Sacramento with decking for summer.